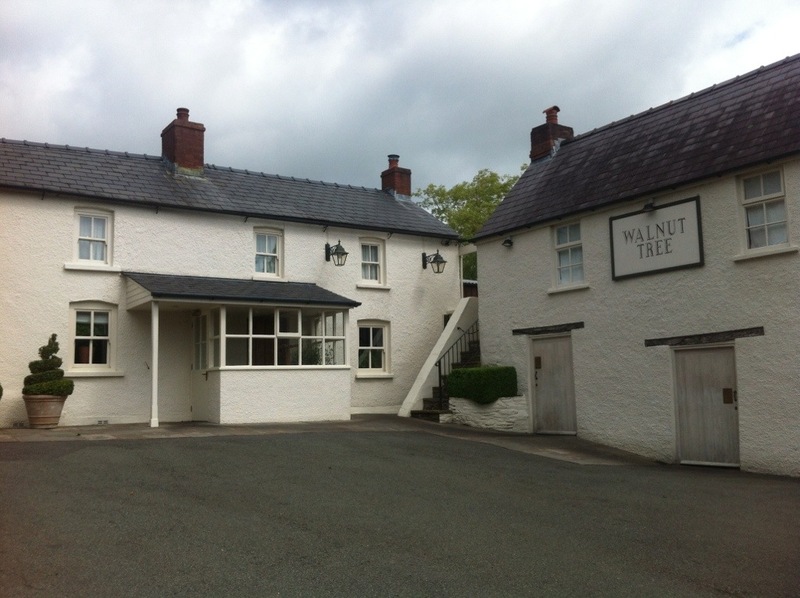 The Walnut Tree just outside Abergavenny is a culinary legend, which was run by Franco Taruschio for over 35 years, until he sold up in 2000. It became known as one of the best restaurants in Wales during that time and its wonderful to see it back where it belongs after some difficult times (anyone remember seeing it on the awful Ramsay’s Kitchen Nightmares in 2004??). The restaurant is now run by the brilliant Shaun Hill, who since taking over the reins in 2008 has won the restaurant a Michelin star and was awarded UK restaurant of the year in 2009. Shaun has worked in some fantastic kitchens but rose to fame at Gidleigh Park, where he even appeared in one of Keith Floyd’s brilliant TV programmes! 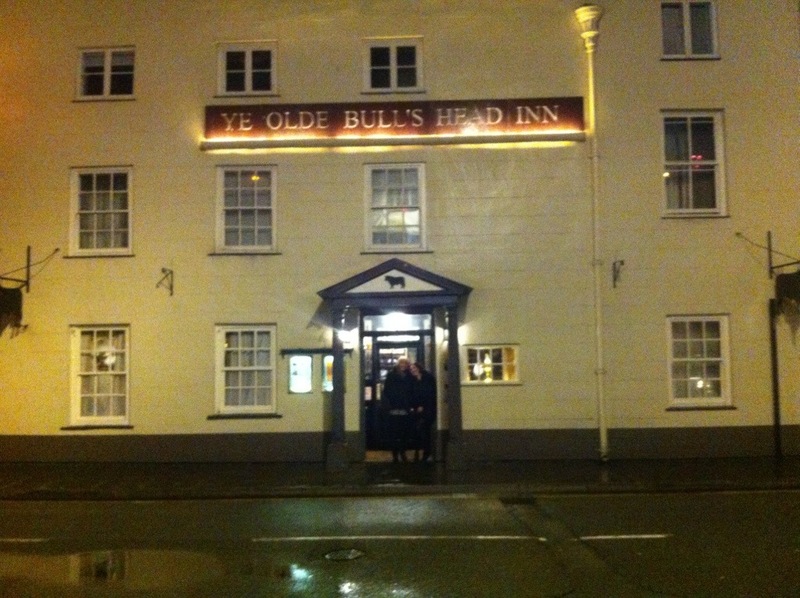 However it was The Merchant House in Ludlow where he gained huge critical acclaim, cooking single handedly every night for 24 lucky diners… It’s my biggest culinary regret that I never got to eat there. The biggest difficulty here is choosing what to have as everything on the menu sounds amazing. Luckily the four of us all went for different options – was dining with The Fish and the in-laws – the event was Den’s birthday. For starters we had Steak Tartare and chips, Quail with grapes, sweetbreads with sour kraut, and a salad of courgettes and sugar snap peas. It was all delicious and really got the tastebuds going. Main courses included skate with pancetta and broad beans, suckling pork with morcilla and empanada, sea bass with mussels in a spicy broth, and skirt steak with Provençal tomato. Everything was cooked to perfection and the combination of ingredients and flavours were spectacular. I also have to give a special mention the dauphine potatoes that came with the beef – they were like potato doughnuts and possibly the best carbohydrate side dish of all time! There wasn’t really room for dessert… But we didn’t let that stop us. Chocolate and raspberry torte, strawberry pavlova, gooseberry jelly crumble, and chocolate and pear tart. What’s not to like? Well nothing actually, it was all tip-top and we were just left smiling and shaking our heads at the skill of the kitchen. Everything was sublime. And the real beauty is there is no pretence whatsoever. The staff are delightfully friendly yet unobtrusive, there are no smears and foams on the plate; everything is just as it should be. 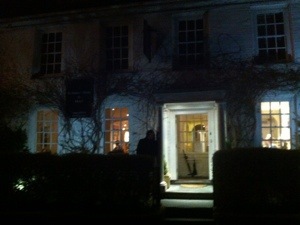 Brilliant food in a wonderful environment. Oh, and there was the wine too! There’s a lovely piece on their website talking about how wine service in restaurants can be quite elaborate, but their approach is straightforward; offer you a taste to check the condition, pour a small glass for each diner and then leave it up to you. 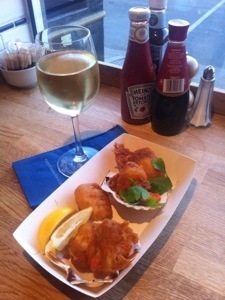 Wonderfully simple and exactly what most diners crave, I know I hate it when waiters are constantly topping up glasses. 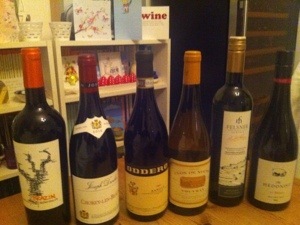 I wanted a bottle of white and a bottle of red and I like to go for one from the old world and one from the new. I’m a bit more experimental with my white wines but its probably no surprise that I selected a Riesling from New Zealand and a red Burgundy. But i could’ve gone for any number of combinations as the selection is beautifully considered and put together. Mark-ups are around 100% up on retail prices which I consider to be very fair, especially when so many places in London are upwards of 300%. 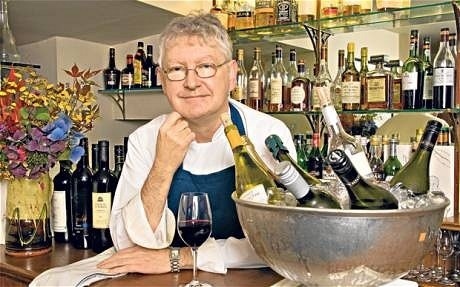 There are a few wine fans where I work and they tell me they enjoy reading my ramblings about the subject. On a Monday we’ll often have a chat about what was drunk over the weekend (obviously I’d never let on that I sometimes have a tipple on a school night!). John is a South African who only seems to drink South African wine, and Michelle loves big gutsy reds; so when I got an email from Vivat Bacchus about their South African wine festival, we decided to go for it. Vivat Bacchus describes itself as “a celebration of rustic, robust food, artisan cheeses and great wines” and I would say its not far from the truth – however the food is definitely on the polished side of rustic! The festival ran for three days, with a tasting of 8 South African winemakers followed by a wine dinner, with different wine makers featured each night. 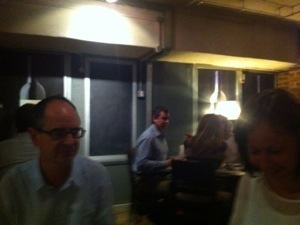 We went for the dinner on the Tuesday as the producer of one of my favourite white wines, De Morgenzon, was on the bill. First of all the tasting was quite an eye opener. I was expecting a lot of Chenin Blanc and Pinotage, but what was delivered was almost a homage to The Rhone Valley – Viognier and Roussane whites and Syrah and Mouvedre reds. It’s an exciting time for South African wines and there were some excellent wines on show. However I did feel many of the wines were a work in progress and I’d love to have had a few more Chenin, Cabernet and Pinotage based wines as a benchmark. When we got to a Cabernet/Syrah blend, John muttered the immortal words “I cut my milk teeth on wines like this!” – here he is telling us about it! See note in dinner section. After that it was onto the dinner. 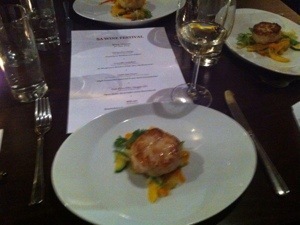 Five courses of South African inspired food, each matched with one of the wines from the earlier tasting. You’ll see from my notes above that 2 of my favourite wines were included, but the 2 other wines were so much better when matched with their food partners. 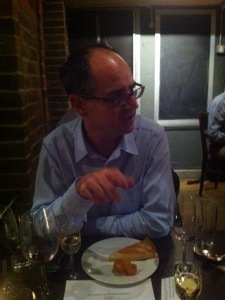 I can’t wait to return to Vivat Bacchus – check out their website. If you’re here to read about wine I apologise. I will mention wine. Not very good wine. Because sometimes it really doesn’t matter. Well it does matter; but sometimes great food is enough, and wine is simply the sideshow. My place where this is the case is Hanako in Watford. It is my very favourite place to eat. It is run by an amazing couple; the husband used to be the head chef at the Japanese embassy, his wife is the perfect hostess. There is no wine list but it just doesn’t matter. 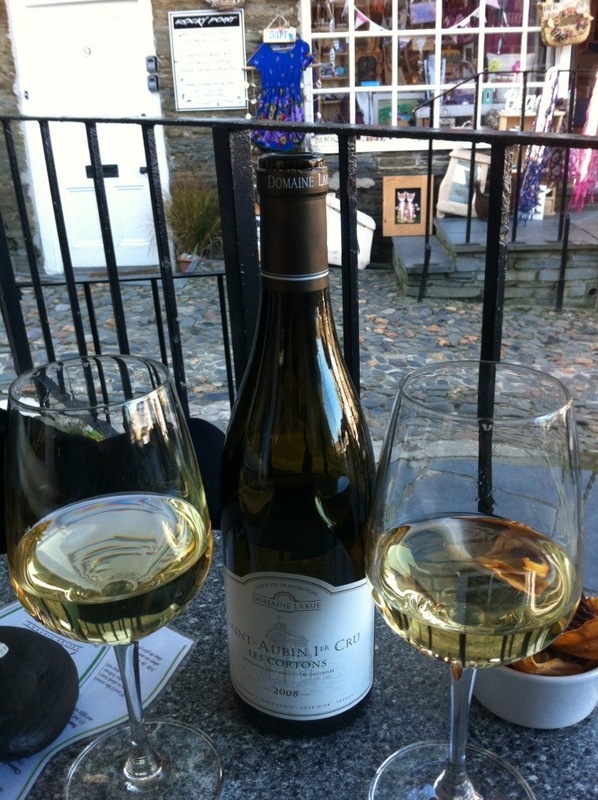 When we’re asked what we want to drink we simply say “a bottle of white wine, please”. 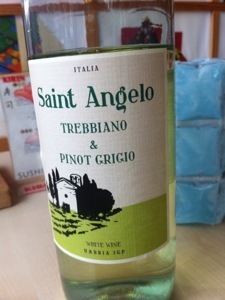 It’s usually a bottle of Kumala branded averageness, or this last time a Pinot Grigio/Trebbiano blend of not muchness. But when food is this good… So what! 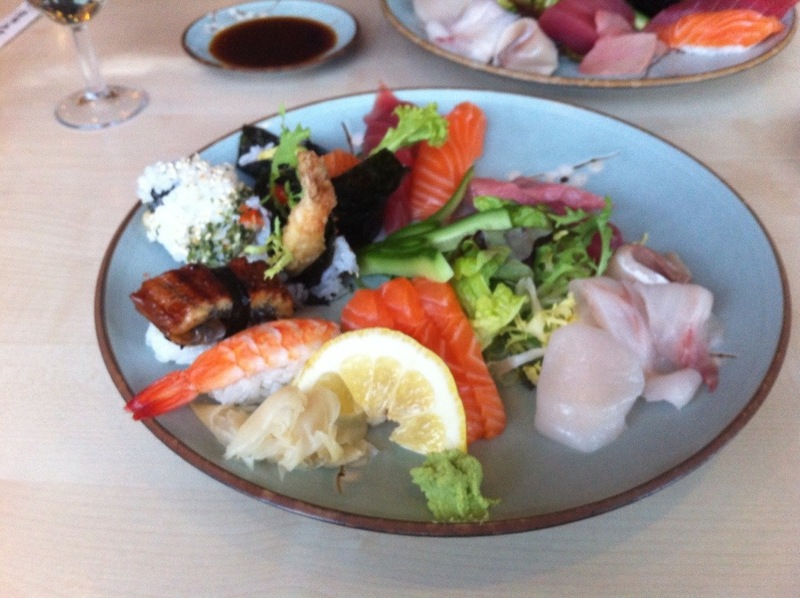 Whether you like sashimi, sushi, tempura, noodles or curry, there’s something here for you. 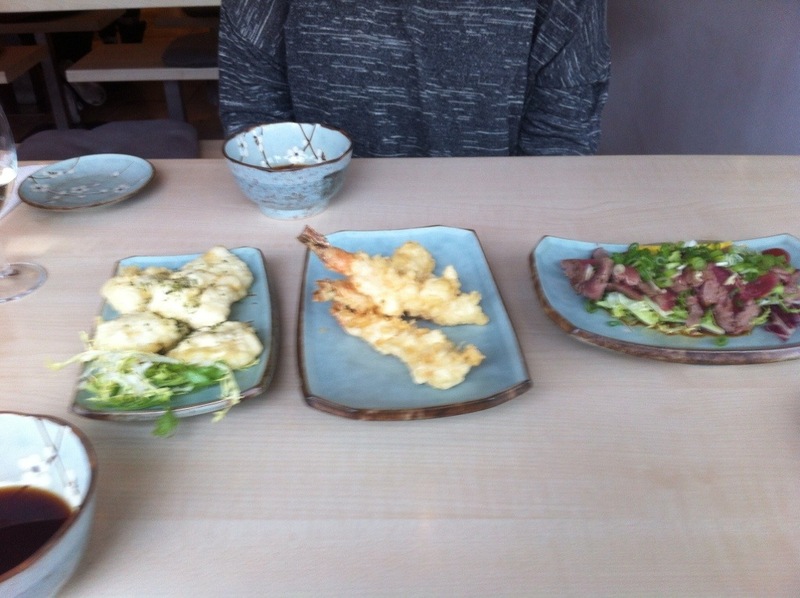 This last visit we had prawn and cuttlefish tempura and beef tataki to start. The prawn tempura is the best battered fish anywhere, the cuttlefish is amazing and the rice wine/soy sauce dressing with the tataki is sublime. I know I should give the saki a go, or should suggest a few decent bottles, but do you know what? 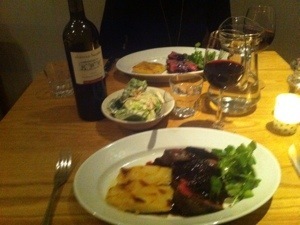 When the food is this good, don’t whine about the wine! Half Term Hijack – guest blog by The Fish! Apart from incredible job satisfaction, one of the best things about being a teacher is that you get a whole week off in February. So, when Wine Geek went back to work on Thursday, I headed into London with fellow colleagues and ladies who lunch, Vics and Rochey. 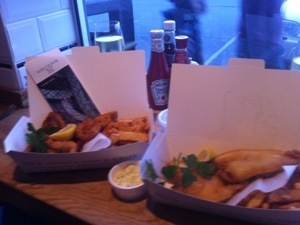 This time, our destination was Bubbledogs on Charlotte Street. As with many of these fashionable fast food places, Bubbledogs does not take bookings. Luckily, it was only a short wait for a great table and we easily idled away the minutes taking in the cool décor (all exposed brick and blackboards) and eyeing up the menu (not extensive but all very tempting). There was a sticky moment when we were asked to give up our table before we even got it to a family who had arrived shortly after us. Luckily, Vicky doesn’t take any crap from Year 9 or cute French waiters so the family behind us just had to wait a while longer. As the name implies, Bubbledogs is all about champagne and hot dogs, a fabulous combination. The wine menu features a wide range of fizz, arranged under sub headings such as ‘a lick of chalk and stones’, ‘ripe fruit bowl’ and ‘touch of spice.’ We selected a 100% Chardonnay blanc de blancs from the ‘so fresh, so clean’ section and it certainly lived up to its billing – delicate bubbles and a pure crisp taste. Fortified by fizz, we studied the menu with care and concentration, finally opting for one New York Original (onions and sauerkraut), one Reuben (sauerkraut, Russian dressing and Swiss Cheese) and one BLT (bacon, lettuce and truffle mayo). In the interests of research, we also ordered all three of the sides on offer (tots, sweet potato fries and coleslaw). The food was all delicious; we left one tiny potato tot to be polite. 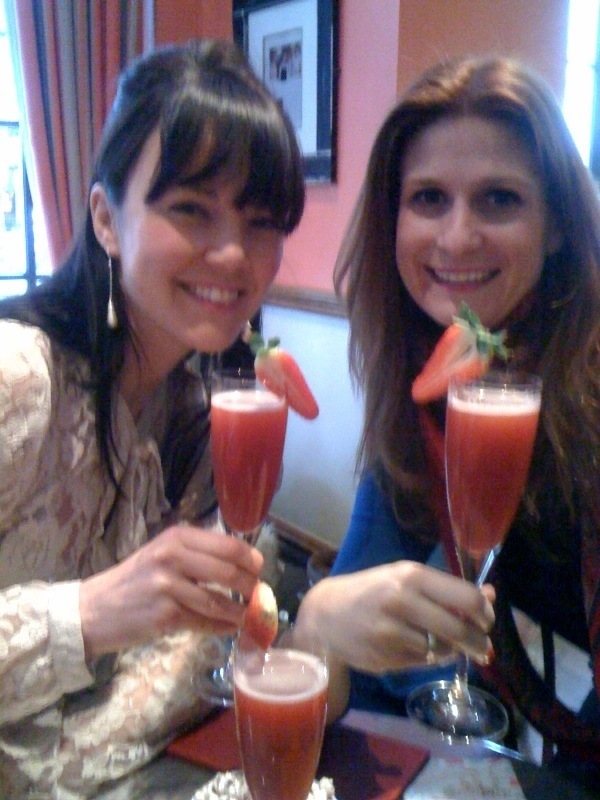 Having finished the bubbles and the dogs, it felt like a natural progression to cross the road to the stylish Charlotte Street Hotel for a few afternoon cocktails to finish our lovely lunch. Oh, and don’t feel too sorry for Wine Geek; I picked up a Baker Street lamb samosa for him on the way home! 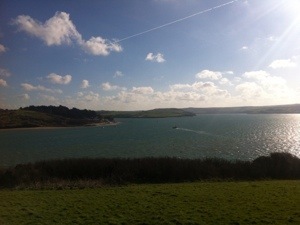 Time moves slowly in Padstow; I love it. Everything happens in s-l-o-w motion. You have the time to compute and digest; time to enjoy the little things. I’ve never been a fan of walking – anyone who knows me will tell you I’d rather hear about it in the pub! This morning we went for a stroll along the cliffs and back long the beach. It was spectacular, even with the wind blowing sand and salt into our faces and stinging our eyes. It was fresh and bracing… And do you know what made it better? I felt like I deserved my lunchtime pints of Trelawny ale! There’s nothing quite like sitting in the pub at lunchtime on a Sunday. 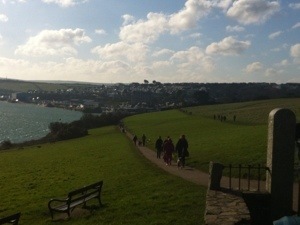 Oh, and a pasty overlooking the harbour is a pretty good feeling too! 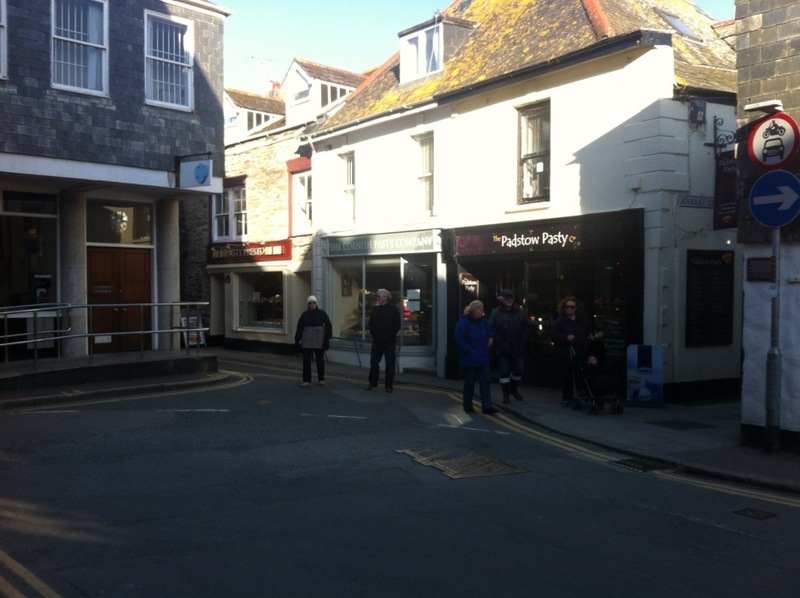 One of my favourite views in Padstow is these three pasty shops in a row… Magic. But we’re here to talk about wine so lets get to the action; lets get back to Bin Two. 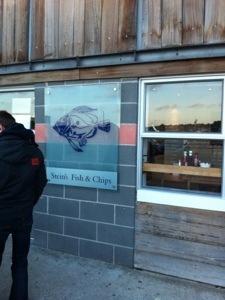 Here’s a link to their site – it’s a must-do for any visit to Padstow (Bin Two website). I was dead-set on a bottle of white wine from the New World and was ready to plunge for a NZ Chardonnay… But The Fish was in French mode so we agreed on a compromise… And what a belter it was! The wine list at St Petroc’s is short and well judged. Almost everything is under £30 a bottle and there are delicious choices from France, Spain, Argentina and Australia. But £27 for a bottle for a Guigal Cotes du Rhone I can buy for £7.99 in Majestic? I love this wine, but not at £27! And if I’m going to buy a half bottle (which doesn’t happen that often in all honesty! ), I expect to pay half the price… Not £20.90 when a whole bottle costs £27.10! I ask myself why??? Apart from that, it was great! I’m looking forward to it all and hope you enjoy reading about it… Here’s episode #1! 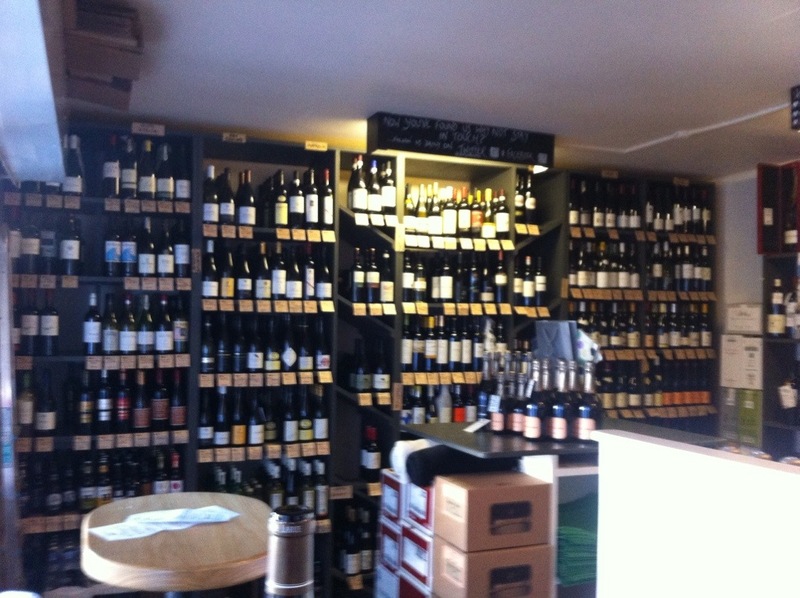 Bin Two is the most fantastic wine shop/bar in the middle of the almost perfect seaside town that is Padstow. There are a number of interesting wines by the glass as well as a fine selection of Billecart Salmon Champagne, but the real delight here is the vast selection by the bottle, any of which you can buy to take away, or for a corkage charge of £7.50, drink there and then. I really fancied a fantastic bottle of red to kick off the holiday in style. Amarone, Coonawarra Cabernet, Hermitage… But of course, I reached the Burgundy selection and knew that’s where Saturday afternoon would begin. And what a fine selection there is. 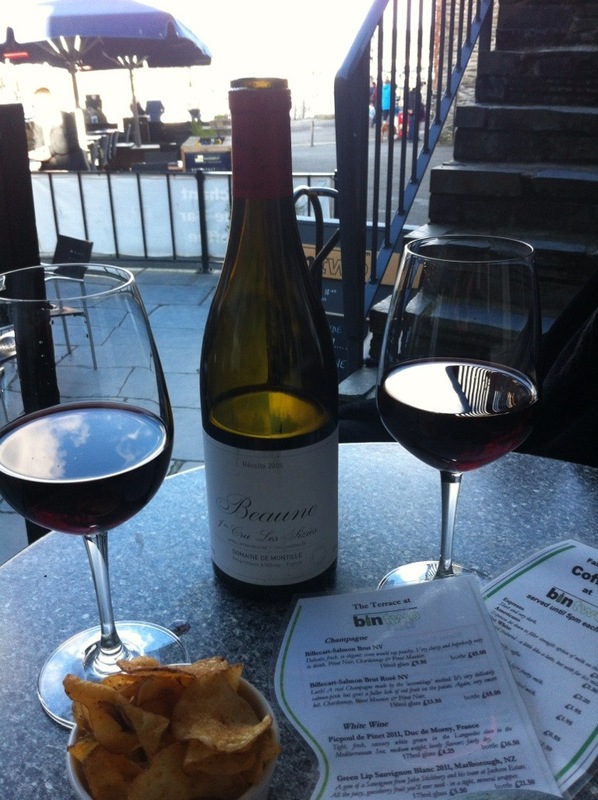 I decided on a Beaune 1er Cru from the wonderful Domaine DeMontille (check out the tasting notes!) and was rewarded with a fine bottle to get things started. And to finish, a couple of delicious pints of St Austell Tribute and Doom Bar… Then bed and preparation for another tough day! I apologise. I did my “best of 2012” a week early. 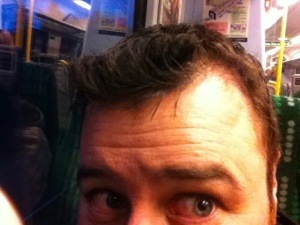 I did it before I went to the Hand & Flowers on Friday night. I did it before the best meal I’ve eaten in 2012. We’ve wanted to go here for quite some time, since first seeing Tom Kerridge on the Great British Menu I think. And I’ve wanted to eat his signature duck & chips since that day too. And I wasn’t disappointed. 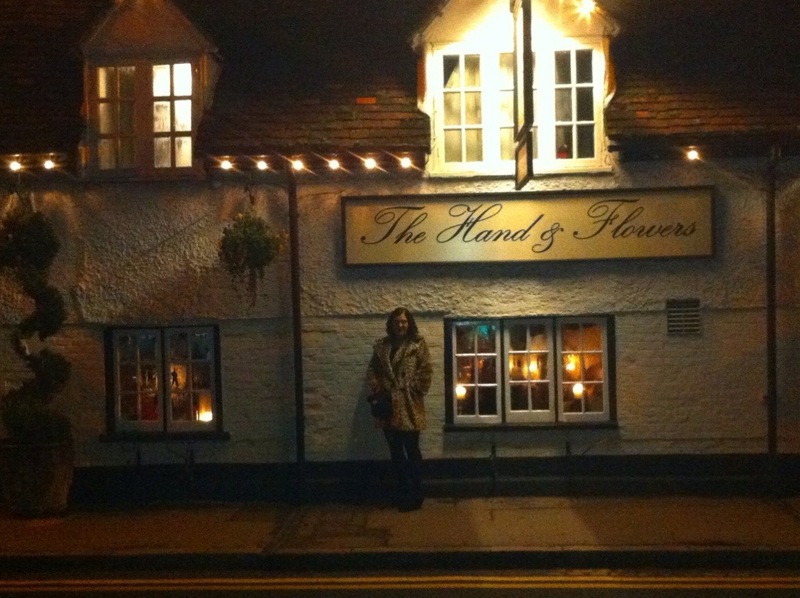 The Hand & Flowers is a beautiful pub in Marlow; it looks like a pub, it feels like a pub; and it holds two Michelin stars. What I love is that you get the impression they haven’t gone looking for 2 stars, more like the stars have found them. The staff are superbly knowledgable and friendly and the food and wine selection is very tough… You want to try everything! We started with a couple of glasses from the by the glass list. Fish had the Balfour Rose from Kent (wild strawberries and lovely smooth bubbles – like a drinking a super-mousse… Remember them?) and I had the Mittnacht Pinot Blanc, which was lovely citrusy, full and round. 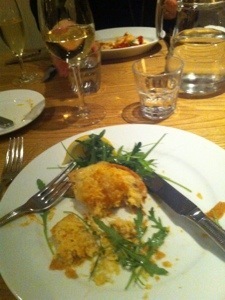 For starters I had the crispy pigs head and Fish went for the blow-torched scallops. They were delicious – and delivered so much more than the simple menu descriptions. I had to have the duck for my main course and Fish went for the beef fillet. Wonderfully cooked, beautifully seasoned and just about perfect in every way. We enjoyed a very nice bottle of Volnay from Domaine Regis Rossignol-Changarnier from the excellent 2005 vintage. 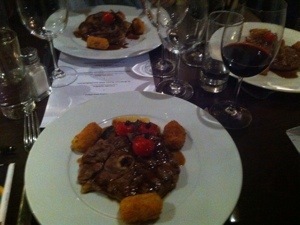 The wine was deliciously elegant and improved when paired with the food, not something I expect from Volnay but hey-ho! 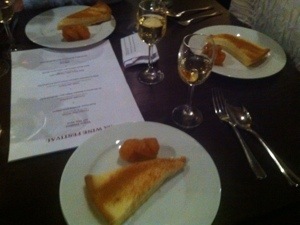 We finished off with dessert (Tonka bean pana cottoa, Chocolate cake) and pudding wine, again delicious. The other great thing about the Hand & Flowers is the pricing. Most of the starters are under £10 and main courses around £25. For this level of cooking and service that is spectacular. I promise not to turn the site into a restaurant review site, but thought you should know about this one!